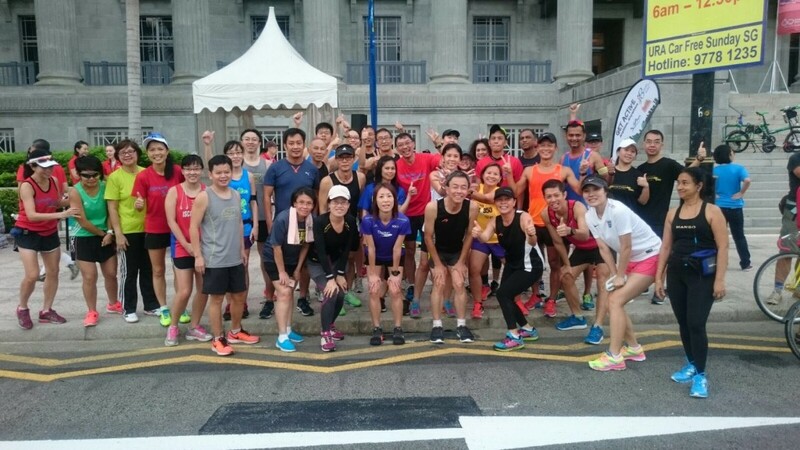 The 3rd CarFreeSundaySG saw a good turnout of i-Runners and Cyclists in front of the steps to the National Gallery. 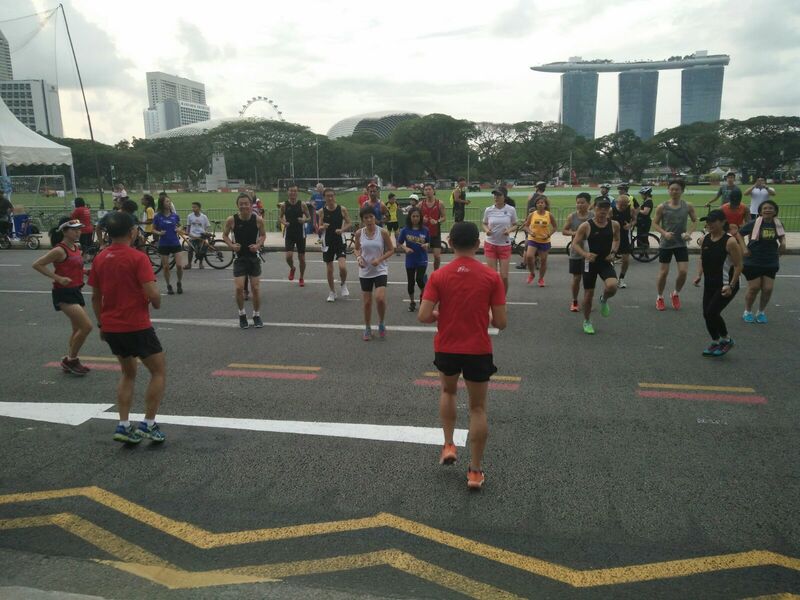 Runners started to stream in to the i-Run kiosk at about 7:00am and by 7:15am, we had a good group of 40 runners to get the dynamic warm-up underway. 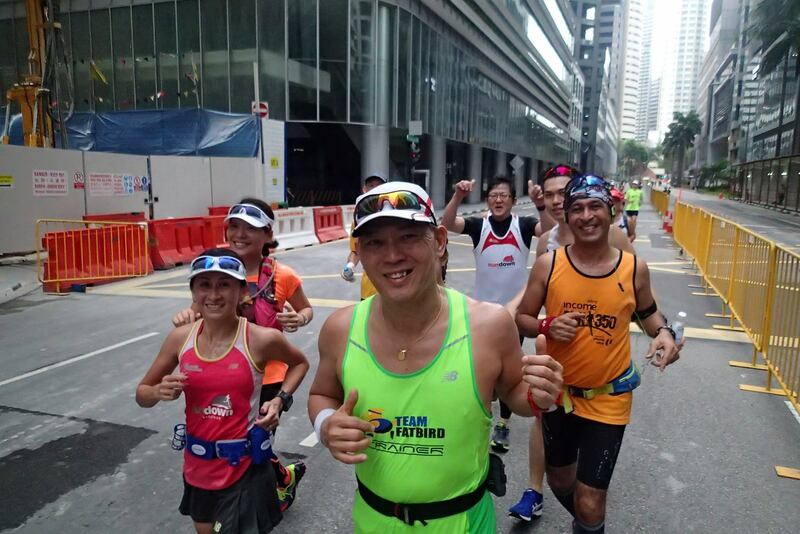 Led by Team FatBird‘s i-Run trainers, the runners were taken through 10min of dynamic running drills and warm-up exercises to get the engines ready for ‘ACTION’ at 7:30am. 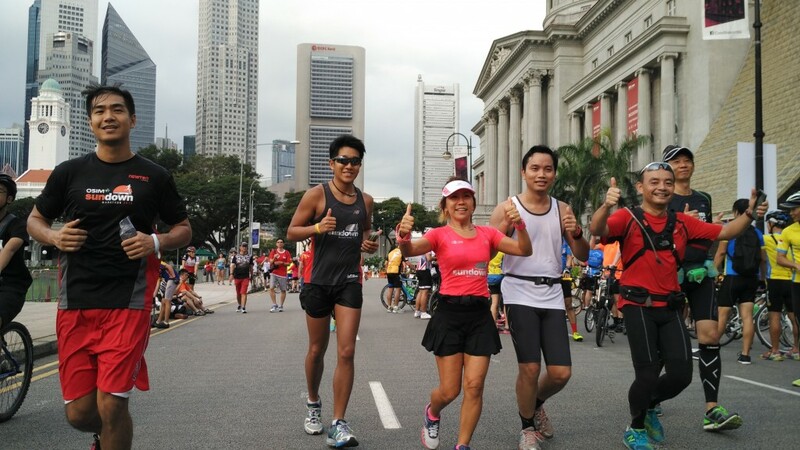 The VIPs flagged off the contingents promptly and our i-Runners strode along in their 3km, 5km and 7k categories. 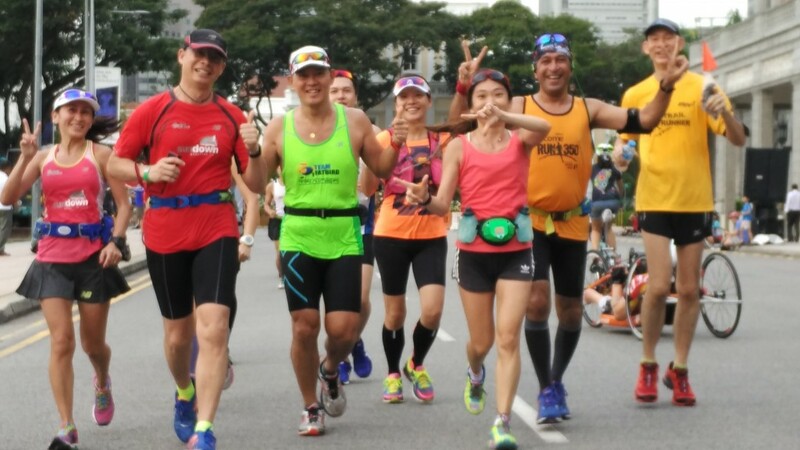 With the 5km segment of Shenton Way completely closed to traffic, we had good access to the roads along with the cyclists and those on mobility vehicles sharing the same corridors of advance. 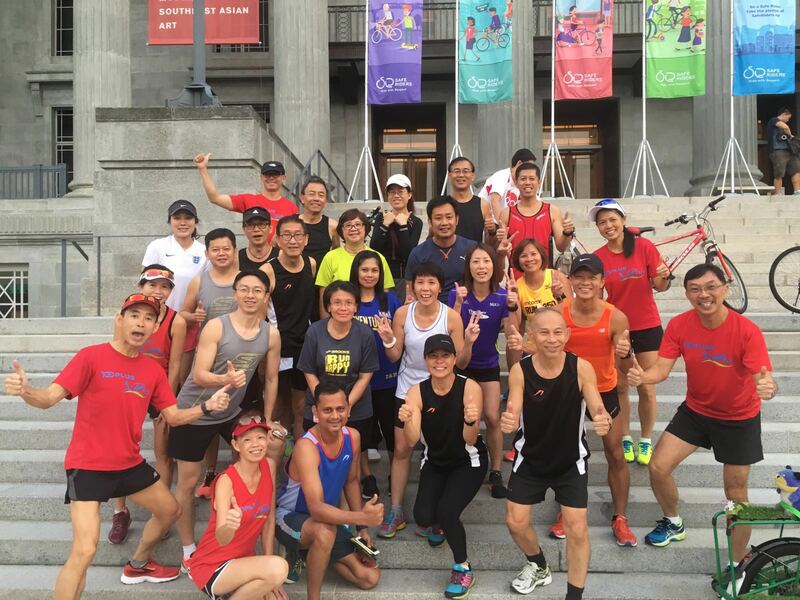 Our NightHawk participants (training for Sundown Marathon) made their way from Parkland Green at ECP down to CarFreeSundaySG to do 2 laps of 5km as part of their long run requirements of 22km (HM) and 33km (FM). 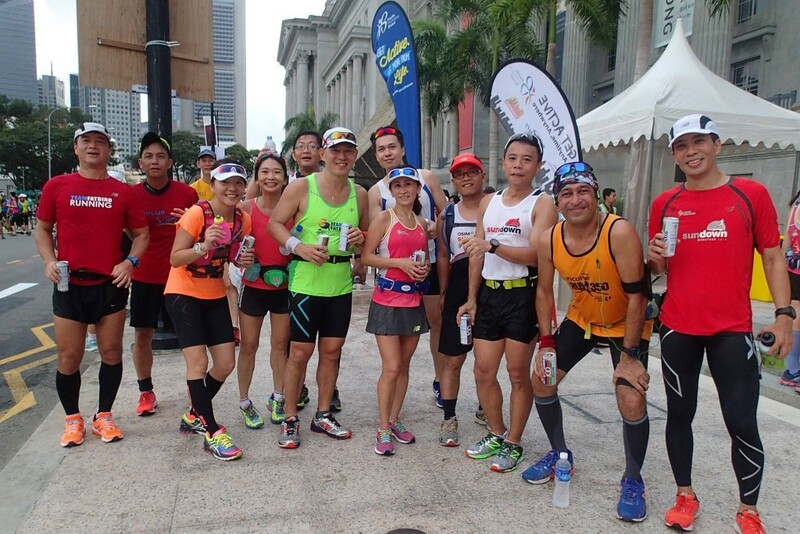 From 8:30am, the respective pace groups to the i-Run registration point for their drinks and the start of their 2-3 laps of 5km around the closed road segment. 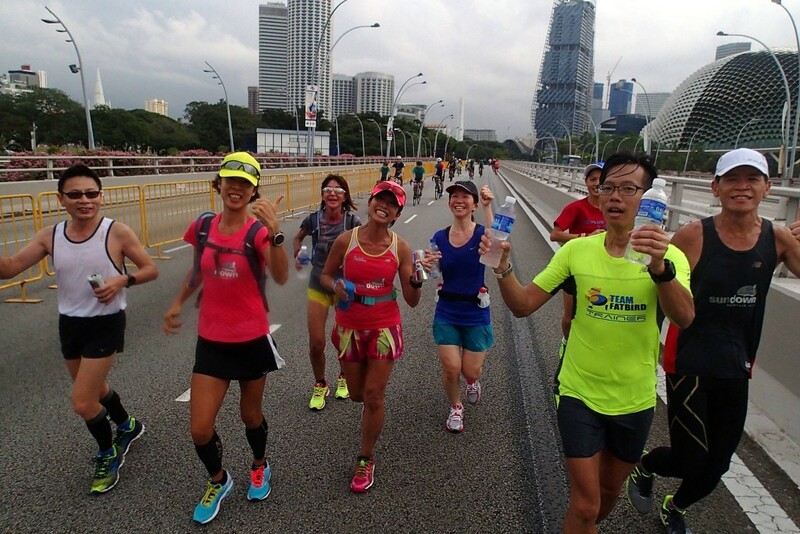 There were smiles and applause as the pace groups with their runners pass, with encouragement from those gathered around the i-Run water hole. 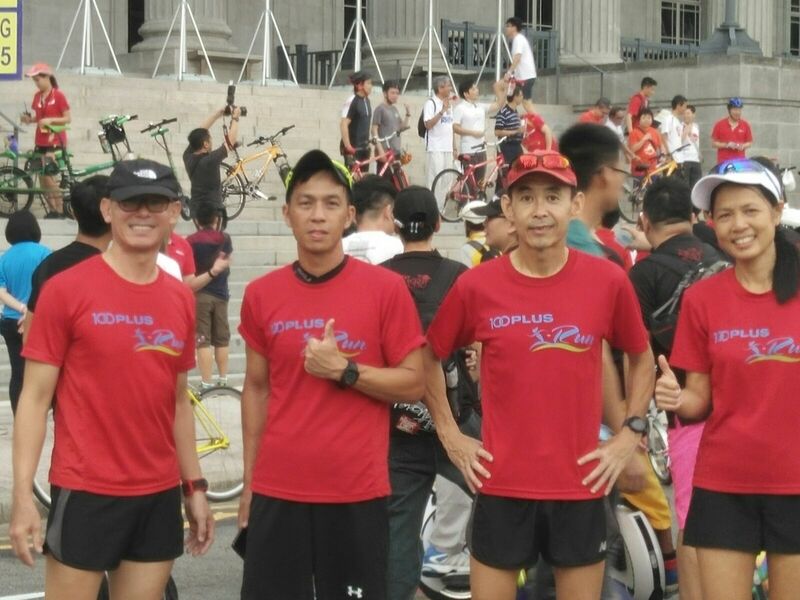 There were also many other running groups like RunningHour, Pasir Ris Runners, Tiong Bahru Runners that paid the i-Run gathering point a visit and rested while continuing on for their subsequent 5km laps. There was a hive of activity and it was encouraging to see so many people from all walks out and about exercising and keeping fit. 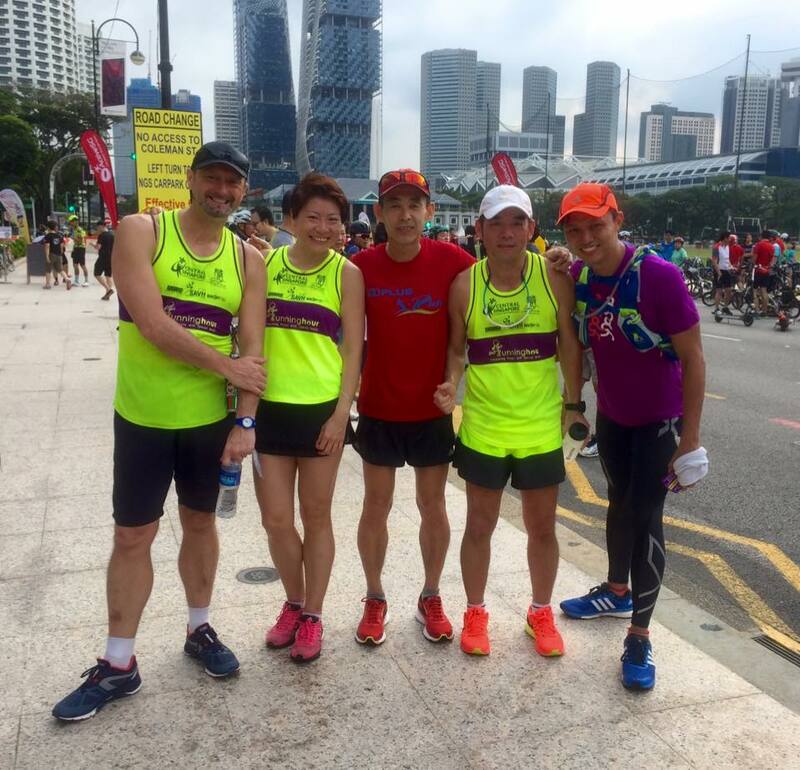 The NightHawks kept to their respective training targets and left the Padang area by 9:00am for their return back to Parkland Green for that extended distance that are necessary to build their base for a good Sundown Marathon showing in May. 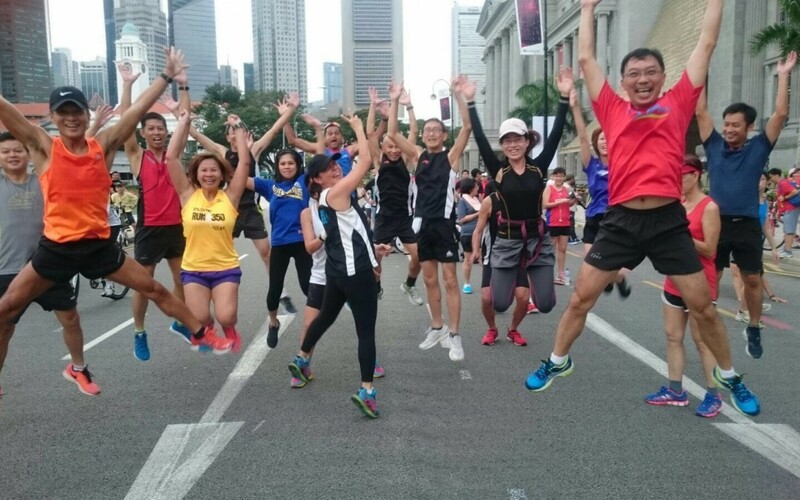 The i-Run activities continued till 9:30am before we base farewell to those runners who hung around to mingle and share running stories and simply catching up with fellow runners. The NightHawks capitalized on the great weather to complete their training by 10:45am for their longest run to date, enhancing their confidence levels for next weekend’s longest pace run training. 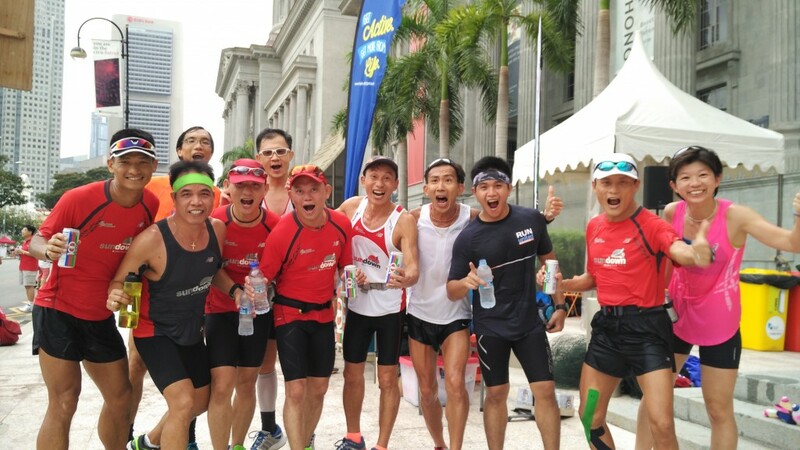 They were still running in tightly-held groups till the finish at Parkland Green, 3-3.5hrs later. 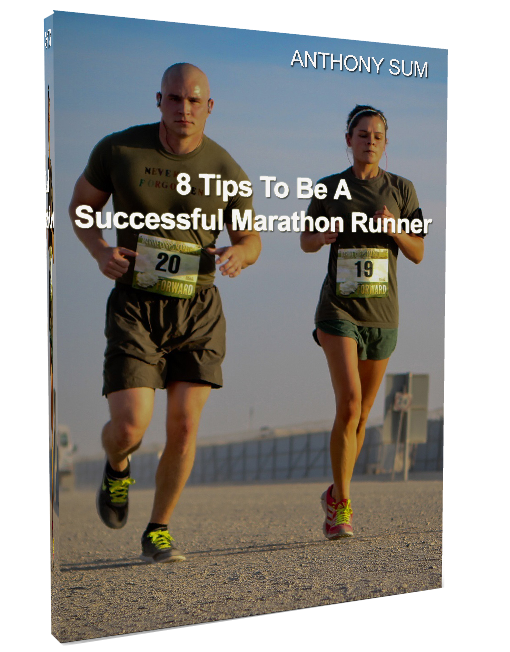 That speaks volumes about the conditioning and readiness of the NightHawk participants for a good buildup to race night. 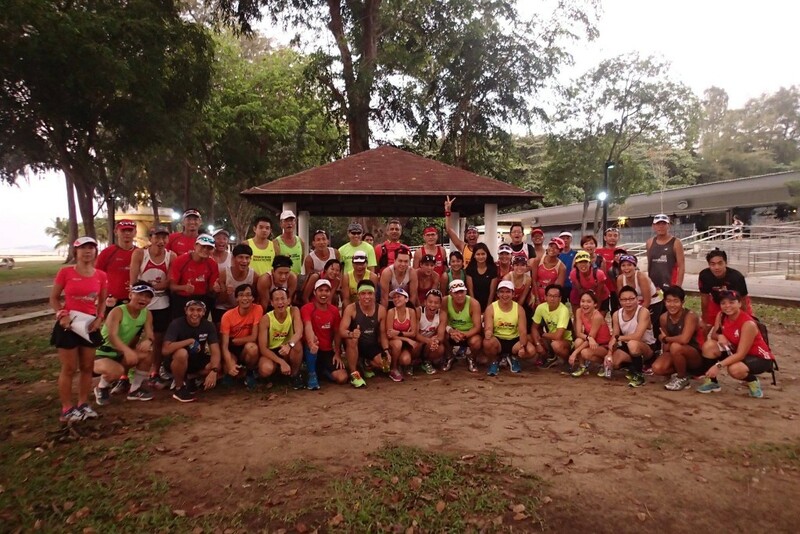 It was a successful CarFreeSundaySG and NightHawk training session! Oooh Aaah!